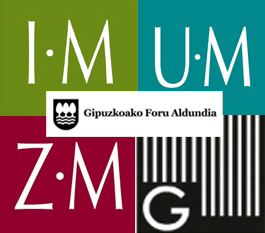 Information is provided through this section on the activities, in close collaboration among them, of the Museums property of the Provincial Council of Gipuzkoa and Gordailua. It includes programs, activities, exhibitions and projects being carried out about the conservation, research and dissemination of the historical-artistic, archaeological and ethnographic heritage of Gipuzkoa. The Provincial Council of Gipuzkoa has three museums of its own (Naval Museum, Igartubeiti Farmhouse Museum and Zumalakarregi Museum) and Gordailua (Gipuzkoa’s Movable Cultural Heritage Centre). The Naval Museum is conceived as a center contributing to the preservation, study and dissemination of Basque maritime history and heritage. The Museum maintains these goals in its various areas: educational activities, research, publications, organization of exhibitions, recovery and protection of maritime heritage. The Igartubeiti Farmhouse represents, like no other, what might be called the Golden Age of the Basque farmhouse. The original wooden structure, well preserved, and the cider press, make it one of the most interesting farmhouses of the Basque Country and a key element of its heritage. It is aclear reflection of the cultural, historical, anthropological, architectural and symbolic values of those times. The creation of a space for interpretation in the vicinity of Igartubeiti farmhouse servesas a complementary and conceptually indivisible to olto this farmhouse-cider press, providing the key to a better understanding of the Basque farmhouse, its architecture, its way of life and its inhabitants. The Zumalakarregi Museum aims to introduce the public, both general and specialized, to the nineteenth century in the Basque Country, a period of great social, cultural, economic and political changes, and the beginning of the contemporary world. There fore, further to preserve, investigate and increase its contents and collections, the Museum proposes a dynamic journey along those times that is a key to know and understand today's society, promoting non-formal educational resources. Gordailua is Gipuzkoa’s Movable Cultural Heritage Centre. Located in Irun, it houses the movable properties of the collections of the Provincial Council of Gipuzkoa (including the collections of Museums), along with those of other Gipuzkoan entities such as SanTelmo Museum and the Kutxa Foundation. Further more, it houses the Restoration Workshop, specializing in the areas of painting, sculpture and stone materials. Zumalakarregui Museum (Ormaiztegi), reference centre for knowledge and study of the Basque Countryin the nineteenth century, in the Iriarte Erdikoa House, typical Basque farmhouse of the seventeenth century. Igartubeiti Farmhouse Museum (Ezkio-Itsaso), building of the sixteenth-seventeenth centuries proposes an approach to the history and evolution of Basque farmhouses. Untzi Museoa-Naval Museum (San Sebastian) dedicated to Basque history and maritime heritage. Itis located in the port of SanSebastian, in the Tower-House of the Consulate, a building of the eighteenth century. The ticket can be purchased at any of the three museums and is validall through the opening hours of each center. It includes guided tour, by reservation. Unlimited validity. The Museums of the Provincial Council of Gipuzkoa exhibit the movable heritage preserved in Gordailua through its exhibition at various locations, by means of temporary exhibitions and special programs. Temporary exhibition at the Zumalakarregi Museum: "Hélène & Blanche Feillet: Pioneers of painting in the nineteenth century Euskal Herria" (March 6. – September 4. 2015). Virtual exhibition at the Naval Museum: "The Basque coast in the work of Feillet sisters". Tour ofthe coastal towns of the Basque Country in the mid-nineteenth century through the lithographs, watercolors, oil paintings, drawings and sketches made by Hélène and Blanche Feillet.